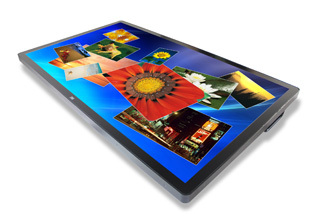 The C4667PW chassis display offers high-performance multi-touch interactivity (at a fast 12 millisecond touch response rate), high-definition graphics (1920x1080 resolution and 178 degree viewing angles), and sleek, flat front surface industrial-design capability. In addition, the C4667PW chassis display is specifically designed for high-use environments with a robust all-metal housing and chemically-strengthened 1.9 mm glass with an anti-glare finish to help ensure product longevity and premium image quality. 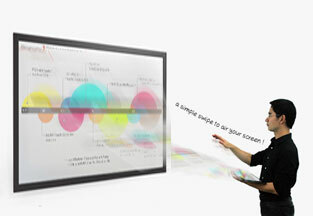 AirScreen is the latest technology from PQ Labs to allow fully immersive Multi-Touch, Multi-User and Multi-Screen experience. 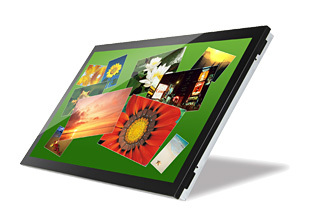 It allows full Multi-Touch interaction with your large-format display, tablet and phone altogether. It"s ideal for your business conference and digital signage presentation, etc. AirScreen basic edition will be a free upgrade to all PQ Labs customers. As an innovation leader in surface capacitive touchscreen technology and electronics, 3M™ Touch Systems, a wholly-owned subsidiary of 3M™ Company, announces a new addition to 3M´s Surface Capacitive product portfolio, the 3M™ MicroTouch System SCT3210EX, an ideal touchscreen solution for applications that require advanced clarity and brilliant optical performance. The SCT3210EX system´s polished-like glass surface complements and enhances high-definition interactive LCD screen graphics by transmitting crisp and vivid images that seem to pop off the screen. 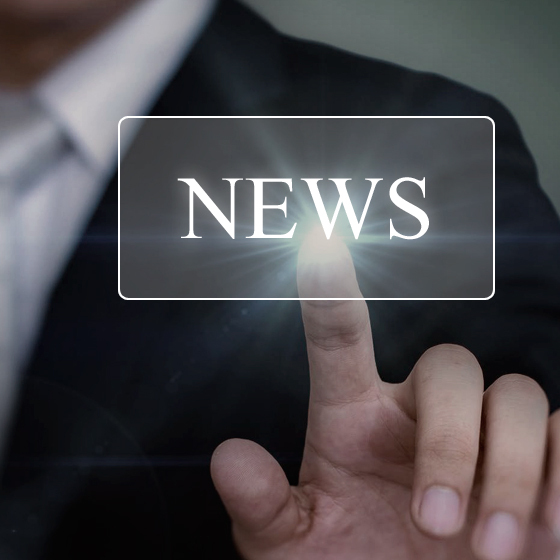 Popular applications that benefit from the SCT3210EX system´s optical clarity are interactive 3D graphics, healthcare displays, gaming machines, and digital signage installations. 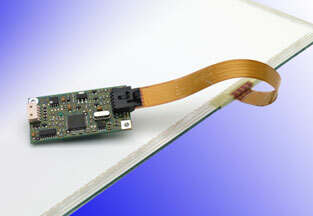 Available in sizes ranging from 10 to 32 inches, the SCT3210EX system has all the robust surface durability characteristics of 3M´s standard surface capacitive product offering, 3M™ MicroTouch System SCT3250EX, while featuring an enhanced, ultra-clear surface finish. The past decade has now seen at least three industry-wide technologies vie for the future of television -- HD, 3D and now 4K or UHD. The first of these -- HD -- represented a massive change for television that affected nearly every aspect of the TV experience from how it was captured to how it was consumed. 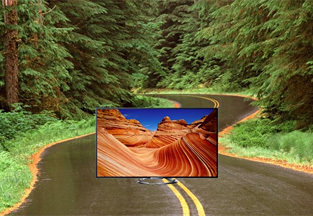 A decade later, it is nearly impossible to purchase a TV that does not support high-definition. The second -- 3D -- was a mixed bag. While the technology became commonplace on high-end TVs, it has remained relevant for only a small fraction of programming. The question, then, is which of these paths, if either, 4K will follow. As an innovation leader in projected capacitive (PCAP) touchscreen technology and electronics, 3M™ Touch Systems, a wholly-owned subsidiary of 3M™ Company, is showcasing its multi-touch expertise at CES Unveiled and the Consumer Electronics Show (CES) 2013 by featuring an 84-inch multi-touch display prototype. 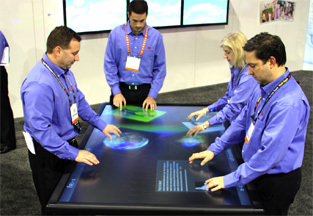 This combination of expansive on-screen collaboration space and 3M’s high-performance multi-touch technology offers users an unparalleled multi-user experience as a multi-touch display wall or interactive table.